يقع فندق فندق إنديان أوشن في منطقة تتمتع بمعالم كثيرة، وتعتبر المكان الأنسب لاكتشاف هذه المدينة رائعة الجمال و ما يحيطها. يسهل الوصول إلى هذا الفندق ذو 3.5 نجوم من المطار، فهو يبعد عنه مسافة 25km فقط. كما يمكن الوصول بسهولة إلى عدة معالم سياحية قريبة. يعمل فندق إنديان أوشن على ضمان إقامة مريحة لضيوفه من خلال خدماته الممتازة وحسن ضيافته. يقدم العقار خدمة الغرف على مدار الساعة, واي فاي مجاني في جميع الغرف, خدمة التنظيف يوميًا, خدمات بريدية, خدمة سيارات الأجرة لضمان الراحة القصوى لضيوفه. استمتع بوسائل الراحة الراقية في الغرف أثناء إقامتك هنا. بعض الغرف تتضمن تلفزيون بشاشة مسطحة, قهوة فورية مجانية, شاي مجاني, مناشف, اتصال لاسلكي بشبكة الإنترنت (مجاني) لمساعدتك على استعادة طاقتك بعد يوم طويل. سواء كنت من محبي الرياضة أو كنت تتطلع لتفريغ عناء نهار صعب، ستجد خدمات ذات مستوى عالي بانتظارك كمثل حوض استحمام ساخن, حمام سباحة خارجي, بلياردو, غرفة ألعاب. إن فندق إنديان أوشن هو خيارك لخدمة الفنادق الراقية في المدينة. يلزم دفع مبلغ تأميني من البطاقة الائتمانية بقيمة 100 دولار أسترالي أو مبلغ تأميني نقدي بقيمة 200 دولار أسترالي عند تسجيل الوصول لتغطية أي رسوم أو مصروفات عرضية خلال فترة الإقامة، وسيتم رد المبلغ عند المغادرة. Enjoyed our little family getaway. Really good value for money, spacious rooms and very friendly staff. Strong water pressure in the shower. Room had a microwave which was handy to warm my bub's milk up. Continental breakfast had a good variety. Hotel is in an excellent location. Supermarket, restaurants, cafes and pubs within walking distance. Ikea was just a few minutes drive away too. Bring your shampoo though as only soap is provided. Everything was a good standard and good value for money. Not a luxury accommodation, but good. Room was serviced everyday. Their website says there may be music noise, but I never noticed any problem. Only gripe was not enough power points, there was an extension lead in the drawer though, so they were obviously aware and tried to resolve. 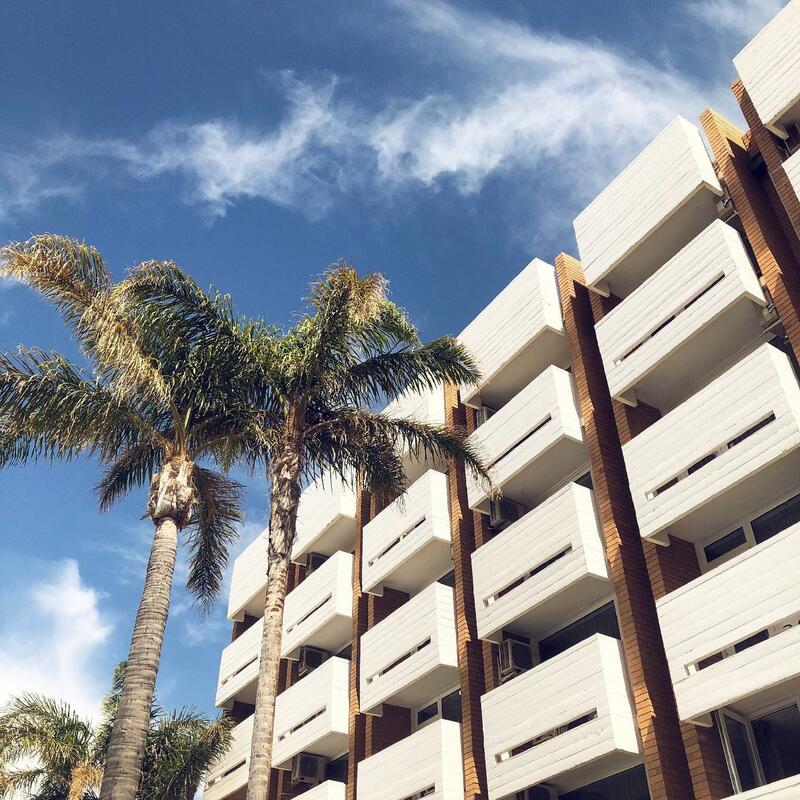 Hotel is well located with Scarborough Beach, the newly opened Beach Pools and a good selection of restaurants and bars only a short walk away. Rooms are basic but clean and comfortable with TV, fridge and microwave and a good wireless internet connection included. A simple breakfast in the restaurant is also included. However, I would recommend checking checking if the hotel are holding any events over the dates that you are staying though as the constant thump of the bass line from the sound system of a pool party and the attendees in the pool area and wandering around the hotel might no be to everyone's taste. A very simple hotel with basic essentials all in. Quiet location with great hotel staff. Breakfast was a little too simple for asian needs though. They could have included eggs and fruits in the menu. Fantastic location. Great breakfast included. Definitely stay again. I am a regular visitor to this hotel where I have probably stayed in excess of a dozen times. It is a very clean, functional and well located hotel that I have never been given a reason not to come back to. I also got upgraded to a larger room this time. A am a very regular visitor to this hotel and the reason I keep returning is it does exactly what I expect and is always very clean and fits my locational needs for the northern coastal corridor. Only 1 issue this time was the wifi virtually didn't work at all. I was on 5th floor this time and have not stayed on that level before so maybe wifi connection not so good up there? I have stayed in this hotel around a dozen times now. I visit family and the hotel fits with my locational requirements. It is a very clean and functional hotel and I have never had any issues during any of my stays. Was a great experience - the microwave was good in the room. meant I could re-heat food previously bought down the local IGA for dinner which meant I didn't have to go out for dinner after a really long day of country driving. Last time I was there - they had a power outage and the staff couldn't be nicer. They bent over backwards to ensure all was good and I would thoroughly recommend this hotel to my business colleagues and friends. DOUBLE CHECK CURRENCY IF BOOKING THROUGH AGODA! I selected AUD yet was charged in USD so paid more than I expected which was very stressful however the hotel meets the needs of the average person. It's old but comfortable enough and the staff are nice. Was woken by noisy neighbors as the walls are a little thin but it's a good location near the beach and shops. The food is delicious and very good value for money! Looking for a 5 star place, this is not for you. Looking for a clean, tidy, good positioned hotel at a great price, this would do you. Rooms are dated, the whole place tends to be that way but a good stop for a few nights. Easy walk and close to numerous cafes and restaurants, beach, shops. Continental breakfast included. Car parking good, staff good. Overall we would be back. Although the hotels exterior is a little off putting, it is very old and surrounds are not very nice, the staff are lovely and very helpful, the rooms although dated are very clean and beds and pillows are very comfortable with lovely clean linen. The lift is a bit scary and smells mouldy. This hotel is in a great location and good value for money. Would have loved some fresh coffee included with breakfast but that's just me being fussy! Was grateful for the options there were. The staff were very friendly, it was really clean and I would stay again for a short term accommodation if need be.